Under the guidance of world-class professors and expert practitioners, you’ll learn how to identify, create and exploit entrepreneurial opportunities on our Entrepreneurship master’s course. 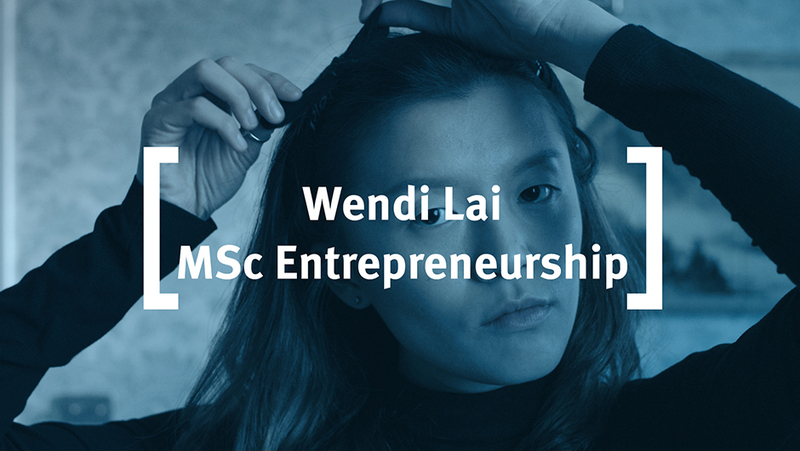 Wendi Lai is studying on the MSc in Entrepreneurship at Cass Business School and she is also passionate about samba music. In this video she tells us about her ambitions and plans to start her own umbrella rental business. You are a curious, persistent, problem-solving, team-oriented and ambitious graduate interested in launching your own business, leading initiatives within large corporations or taking your family business to the next level. You relish the challenge of learning in a fast-paced, hands-on programme, created and taught by leading academics and entrepreneurs. You’re looking for an academically rigorous and professionally relevant qualification that will serve your ultimate needs as an entrepreneur or business owner. You begin your MSc in Entrepreneurship by plunging straight into the world of entrepreneurship as we kick off with New Venture Creation. During this four-day module, you and your fellow students come together to share ideas, form teams and build prototypes. You’ll quickly realise that your studies put strong emphasis on balancing research-led teaching with experiential learning such as consulting for small-business owners, preparation for joining an accelerator and field trips. It’s your fast-track guide through the intricate process of starting your own venture/initiative. Chat to one of our MSc Entrepreneurship students now and have them answer your questions on everything from application to student life. At Cass Innovate, our MSc in Entrepreneurship students had the chance to hear from, learn from and interact with entrepreneurs and innovators at every stage of their journeys – from fledgling start-ups to fully fledged global giants. The conference showcased the work of staff, students and alumni from the MSc in Entrepreneurship, as well as friends and colleagues from a broad range of innovative organisations. Develop your knowledge and understanding of the unique processes involved in creating and launching your own business. Demonstrate a systematic understanding of the factors behind successful entrepreneurship, from creativity to start-up financing. Understand and critically evaluate current issues affecting establishing new businesses from the ground up. Develop team-working abilities crucial to the launch of a successful business. Sharpen your commercial skills and learn how to apply them to the challenges of starting a successful small business. The aim of this module is to provide you with an understanding of the basic and essential issues in entrepreneurship and to provide some of the skills you will need to become an entrepreneur or to act entrepreneurially within existing organisational settings. After a general overview of the latest theoretical approach to entrepreneurship, you will explore the more practical issues in entrepreneurship, including identifying the opportunity, gathering the resources and managing the team. You will be invited to develop a business idea using the business model canvas, identify your ideal investors as well as learn how to pitch to them. The module will additionally focus on decisions regarding the management of a new venture. Using one of the latest tools, a business simulation, you will learn how to analyse and act in every-day business situations after setting up a startup. There is increased recognition that the competitive advantage of organisations depends heavily on their ability to capitalise on their employees’ ideas. The aim of this module is to empower you to develop your creative and entrepreneurial capacities, understand how to apply these skills to various problems, and ultimately create both a commercial product and a social problem solution. Delivered as a series of product/service design activities, you will work in teams to apply different creativity techniques and artifacts in product/service design, framed with different creativity theories and models. Reflective learning will be encouraged after each product/service design activity. A sound understanding of monetary flows and financials within a start-up is critical. This module will equip you with an understanding of the most common accounting and finance techniques and practices necessary to prepare and interpret financial reports. It will also provide you with an understanding of the uses of management accounting techniques in evaluating cost behaviour for decision making purposes and financial management techniques to evaluate short-term decisions and management of working capital. You will be introduced to the key concepts and frameworks via a series of in-class lectures, and learn to apply this knowledge to realistic accounting issues and financial statements. Marketing is one of the most fundamental, most complex, and possibly also most misunderstood function of the firm. The aim of this module is to provide you with a sound understanding of marketing theory, concepts and tools used to market a new product offering, applicable in an entrepreneurial setting. Emphasis is placed on the special requirements for creating and executing marketing plans and programmes in a setting of rapid technological change. City, University of London and Cass Business School have an excellent reputation in promoting the employability of their students at all levels: undergraduate and postgraduate. We, at Cass Entrepreneurship, commit to provide you with a unique module to support your professional growth within the entrepreneurship journey. The aim is to encourage personal and professional growth. We aim to provide you with tools and resources to identify a business idea that suits you, to develop that idea into a viable business project and above all to make you fit to enter the business start-up world by working on your professional skills with practitioners. What is innovation and why does it matter? This module aims at helping you understand the process and management of developing new products. You will learn how to indentify and select opportunities, generate concepts, design product protocols, evaluate concepts/projects, understand key aspects of development and plan and implement new product launches. Covering both the analytical and practical management aspects of new product development, you will be drawing from a variety of theoretical frameworks, tools and practices to build insights that are theoretically driven, yet practice focused. This module aims to provide you with an understanding of funding for new ventures. You will discover the various funding sources available, including angel investment, crowdfunding, and venture capital. You will reflect on the evolution of funding for new ventures and will analyse developments that are shaping funding for entrepreneurs. These include structural changes to the startup ecosystem and their impact on the range of resources and tools that are now freely available to founders, as well the re-shaping of the traditional venture capital model. You will gain an understanding of the context and methods of valuing an entrepreneurial business, as well as where and how to raise capital and how to manage relationship with investors. Entrepreneurship is a multidisciplinary activity involving strategy, R&D, marketing and project management. In practice, entrepreneurs face a number of challenging issues simultaneously. Bringing new products, services and technology from a mind or a lab to the market is a crucial economic yet complex process. This case-based course will keep theory delivery in class to a minimum, but you will need to read a number of key papers. The module aims to provide you with knowledge and practical tools for the creation of high-growth new ventures, as opposed to lifestyle small businesses. You will learn how to change lives and “conquer the world” with innovative new products and services. Almost every business plan assumes a certain amount of sales. Without sales, the entire business model is an exercise in frustration. This module will provide you with the fundamentals of selling and sales management. It will demystify sales and help you understand how to sell. At the end of this module, you will be able to understand the role of sales in a new venture. As an entrepreneur, your venture’s brand will be the main point of all your thoughts and actions. The created brand informs several critical aspects of your offering, such as your product, pricing and promotion among others. In this module you will learn how to establish a successful brand and nurture it over time. You will understand the nature of brands and appreciate why they matter. You will learn how to identify and establish a clear and effective brand identity, how to plan and implement brand marketing programs that build brand equity (externally and internally), establish different ways to monitor brand performance and understand how to manage brands over time. Drawing from a variety of theoretical frameworks, tools and practices to build insights that are theoretically-driven, yet practice-focused, you will also examine the role of social media in digital marketing and as a tool within the overall marketing mix. The success of every venture depends on scaling. Yet the challenge is that scaling comes with inherent risk(s). Even the most prepared founders and teams face challenges, make errors, and must make progress through periods of confusion and uncertainty. The module aims to provide you with a number of operational management techniques that can be applied to real world problems and stimulate an appreciation of the use of different types of operations management approaches to solving problems. The success of new ventures heavily depends on the leader’s ability to locate and manage talent effectively. In this module, you will learn how to lead, build and maintain human assets in startup environments. You will explore the issues associated with firm formation and how early decisions by founders can facilitate or inhibit growth. Then, you will focus on the next stage of the growing firms’ lifecycle, aiming to build the backbone of talent. You have the option of completing a Business Research Project in term three. Within the MSc in Entrepreneurship, you will be able to participate in a consulting project. You will study an actual problem of a given new venture or large organisation. You will receive the necessary information from the cooperating firms and organisations’ staff and you will cooperate with them throughout the project. Following analysis of the problem, you will prepare and present concrete and practical solution(s). The main target of this module is to provide you with the opportunity to handle real-world problems and suggest operational solutions that can actually be implemented by the cooperating firms. Moreover, you will have the chance to develop close relationships with the cooperating companies and, thus, gain an appreciation of real business environments. The final report will be critically reviewed by supervisors and presented to the firm/ organisation’s representatives. Over the course of your career, you may participate (either actively or passively) in at most one major merger or acquisition, but over the same period you are likely to find yourself dealing with many smaller acquisitions. This will certainly be the case if you join large organisations. It is also likely that if you join or even found a small company you will find yourself as a target (or wanting to be one! ), and if particularly fortunate, as an acquirer as well. This module focuses on discussing the various exit options for startup companies, including M&A deals, IPOs and their relative advantages. Preparing you for a world where M&A is an integral part of the strategic and financial business landscape, the module takes a global perspective and will help you familiarise yourself with the various aspects of M&A in the life of a corporation, how to apply valuation techniques and the various techniques used in the different stages of a merger or an acquisition (including post-merger issues). The project will be of approximately 8,000 words. The project should be based on independent research either in the context of a single organisation or using third-party sources. Students are encouraged from the start of the course to think about a topic for their project. A member of academic staff supervises the project, and the student may choose with whom they would like to work. The project must be submitted by the end of August. Company sponsored projects are encouraged and a number of such projects may be available. Assessment of modules on the MSc in Entrepreneurship postgraduate degree, in most cases, is by means of coursework and unseen examination. The course will kick off with New Venture Creation. This will be a four-day module, where you and your fellow students will come together and share ideas, form teams and build prototypes (no credits). * We believe that this is an important component of this programme since it requires you to practice entrepreneurship. During induction, we will discuss the compulsory activities that you must participate in and reflect on, throughout the academic year. You will be required to develop an individual professional development portfolio, which may include: mentoring diary, participation in startup competitions, attendance to all relevant events (and reflections), and participation in research projects of faculty in the entrepreneurship. This knowledge and experience inform the highly interactive lectures that make up the MSc in Entrepreneurship. Complementing our Cass academics, we have a number of highly experienced Visiting Faculty who teach very practical classes, based on their entrepreneurial experiences, on the course. Zahira is a very experienced facilitator, and an insightful and compassionate team coach. She has been coaching and developing teams and individuals at board and executive level in start ups, scale ups, and old world companies, amongst which: Unruly, Barclays, Coutts, GSK. She is a lecturer and PhD Fellow at Cass Business School where she researches leadership and followership. She has taught Organisational Behaviour, Human Resource Management and Leadership at Cass Business School, the London School of Economics and Queen Mary University. With more than 20 years of experience she blends a wealth of business acumen (gained at JP Morgan, SG and Barclays), with innovative content and teaching techniques. She has a MSc. in Organisational Behavior from the London School of Economics, an MRes from Cass Business School, where she is currently continuing her research as PhD Fellow. I teach leadership and team development, because for me it's the most effective and most enjoyable way to change the world. Teaching allows me to work on hearts and minds, to coach people in becoming empowered, literate, engaged, creative, liberated human beings who want to join in this effort of change. I’m honoured to be asked to teach the first MSc Entrepreneur Module at Cass Business School for 2016/17. Cass is a forward thinking Business School in the heart of the great city of London. This is an exciting launch for both me and the next generation of budding entrepreneurs. Vincenzo is a serial entrepreneur with commercial acumen rising from his visionary instinct and technical insight. He has created and built technology companies, brands and negotiated multi-million GBP contracts. After initially working internationally with Sony and Panasonic he is personally launching a series of software companies, focused within Broadcasting, Media, and Security Industries. His UK start-up ventures, 1999 Ark-e-media Technologies that grew to become PLC’s, all establishing a global presence with multi-million GBP of revenue and in 2005 Sicura Systems to develop IP products for security industry became a reality in Europe and the Middle East. Following acquisition in 2004 and 2014, Vincenzo has since dedicated most of his time to investment, coaching, advising and mentoring start-up ventures and SME’s within the UK technology industries. Vincenzo also joined Richard Branson (Virgin Start-up) helping to develop the next generation of young entrepreneurs and he is often a guest speaker and has been on business panels at various events. Zoe is an experienced tech entrepreneur in the education and healthcare space. She worked on the growth of her company Insane Logic for six years before a recent acquisition. Zoe has been through accelerators (Startup Leadership Programme, Wayra, Big Venture Challenge, Unreasonable Institute in the US), angel and VC funding rounds seeing the growth of her product from idea through to an established service across the UK. She is now building the next company and is herself in the customer development phase. Zoe has an undergraduate degree from LSE and an MBA from Henley Business School. I wanted to be part of the team behind the MSc in Entrepreneurship as my first entrepreneurial journey was one of tremendous highs and stab in the gut lows, making mistakes, learning and creating wins at every turn. Nothing beats creating something people pay for that changes their life. It was the fastest period of learning in my life and now I start my second journey with a well worn framework that I want to share with others. 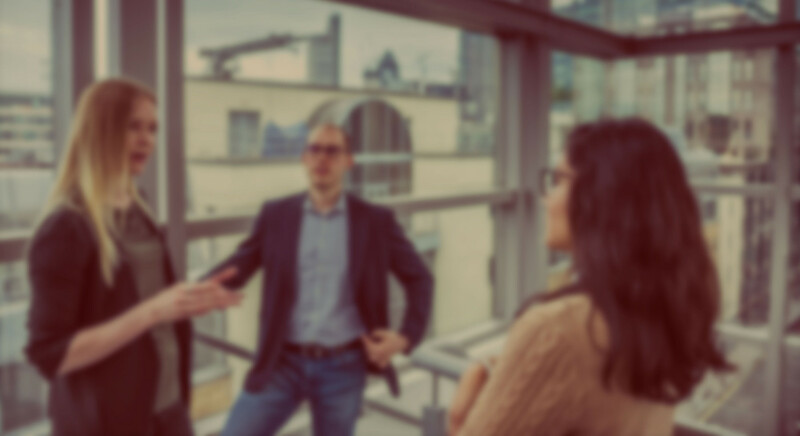 City, University of London and Cass Business School have an excellent reputation in promoting the employability of their students at all levels: undergraduate and postgraduate. We, at Cass Entrepreneurship, commit to provide you with as much career support as possible. Since 2016, we have operated a very successful Entrepreneurship Mentoring Scheme. The scheme operates exclusively to support the Masters in Entrepreneurship programme and provides you with a safe network of entrepreneurs and investors who are available to inspire and support you throughout your entrepreneurship journey. I am a serial entrepreneur with hands-on experience in starting, managing and advising high-growth businesses. Most recently, I ran Melcrum, a research and training business, advising executives at Fortune 500 organizations worldwide. I stewarded the business from a "kitchen-table" start-up in 1996 to an organization with offices in the US, UK and Australia and blue-chip customers in more than ninety countries. In November 2015, Melcrum was acquired by the Corporate Executive Board. My current focus is on helping growing businesses thrive in the digital age, sharing my knowledge and experience to accelerate performance. I am based in London and am a regular speaker and writer on marketing topics and entrepreneurship. I hold a BA Honors in French from Bristol University, a Diploma in European Business Administration from UWE and I am a graduate of Cass Business School’s ‘Better Business Program’. Outside the office, I am the author of 'The Hurst Chronicles' series, a long-distance runner, play and coach field hockey and enjoy tennis and messing around in boats. Manoj embeds himself within the startup ecosystem, he loves using technology to innovate and grow businesses. He believes technology will be the backbone of the UK economy in the future. As a technology leader and start up advisor, Manoj has over 10 years experience launching new services and ecommerce businesses. He has worked with the likes of Moo.com (a leading business cards ecommerce company), Doctors.net.uk (the linkedin for doctors) and Informa Group PLC (FTSE 100 company). Most recently he is working at a startup law firm to introduce their new SaaS platform. Manoj is a specialist in launching new products online and building cutting edge technology applications both online (website) and mobile. When he’s not working he is occupied being a trustee for a charity, investor in startups, keynote speaker and advisor to willing entrepreneurs. Marina is a UX designer at Pomegranate, where she is focusing on Customer Experience and UX design to meet the needs of clients operating within different industries that are experiencing digital transformation. She leverages her background in Service Design to create meaningful experiences with a user centric approach. After her Service Design master in Milan, she had the chance to take part of a Design Thinking for Innovation program at Stanford University in California, which aimed at using Design Thinking methodologies to create, validate, test and design a digital business proposition. Lately she co-founded "Flyghter", a startup that received 130k € funding by the italian incubator H-Farm. Simon is an entrepreneur. The first business he set up in 1997 was Aspect ltd. This is a top 10 UK creative communications agency with a mission to “inspire business performance”. Specialising in events, training and communications consultancy, Aspect works for a multitude of major corporations across the globe. Simon also owns a property investment business with interests around London. Simon is a creative communications expert with nearly thirty years of dedicated industry expertise behind him. His particular strengths lie in bringing communications creativity to all the projects he works on at a strategic level and he is also seen as an industry-leading presentation and performance coach. His career began at Purchasepoint Productions where he grew to become a senior event producer and then left to head up the Live Events Department at Crown Communications. From there he then set up his first venture Aspect ltd. Over his career he has been involved in many communications projects in virtually every industry sector and regularly works at Board level. Right now he has a keen interest to inspire young entrepreneurs and has delivered talks at Cass Business School, Kent University and West London University. He has broad interests, and is currently undertaking a music performance degree at the London College of Music. He plays Oboe and saxophones and is also a keen runner, swimmer and rollerblader. He is very proud to be a father and is married with three children. Jeffrey Lawrence is COO of Ardmore Healthcare Ltd, a company he established 10 years ago. It is a UK organisation which develops and sells medical devices for hollow organ assessment and evaluation using a range of non invasive products and proprietary software for adults and children. He holds an MBA from Cass having studied at City University Business School far too long ago to remember exact dates! A BOC scholarship funded his studies. His business career started with BOC where he worked in sales and marketing roles in the UK, Japan and Singapore where he developed the BOC health care businesses. Whilst in Singapore he joined Glaxo Group as a Director responsible for the medical devices business for the Pacific Basin. Upon his return to the UK he was responsible for production activities before setting up Ardmore Healthcare. He is an active member of the City University mentoring programme having been involved with it for 3 years. As a member of the British Society of Gastroenterology he remains at the forefront of new product development and innovation committees, principally with the Royal London Hospital. Alex is the founder of 9MM PR, a strategic communications consultancy that helps business owners to build profile, presence and profits. His journey began at Bite, one of the UK’s leading communications groups, where he executed campaigns for some of the world's biggest technology companies. Today, he continues to use his skills to help the owners of established B2B businesses to achieve their vision by creating content that influences and attracts their most profitable prospects. Catherine worked in financial services for 12 years and has just completed the executive MBA course at Cass. Her role as a transition manager incorporates trading strategy, portfolio management, project and stakeholder management and business development. Alongside this she has supported her husband as he set up and launched a craft cider company, Pilango Cider. In their first year they have created the Pilango brand and launched two lines of Pilango cider which have a growing number of London stockists, in addition to running a shop stocking over 100 different types of cider and participating in events and festivals. Supporting a growing passion for entrepreneurship, during the EMBA Catherine also had the opportunity to work with the Chilean government department responsible for entrepreneurship and innovation, to analyse the project selection process and impact of Capital Semila, one of their flagship start-up funding programs. Additionally she was part of finalist teams for the inter-school FT challenge; City Starter’s, winning seed capital for a social enterprise, experiential incubator for food start-ups and the team which represented Cass at the 2017 Venture Capital Investment Competition North European heat. Darren provides Risk and Capital Management consulting and advisory services to Senior Executives in the Insurance and Investment Management sectors. An experienced risk practitioner, focused on helping clients create value and improve business performance. With over 15 years’ global experience with multinational companies, including Chief Risk Officer reporting to the Board, Darren has helped firms close out multiple regulatory issues. Darren is a co-founder of Reciproco a digital start-up and holds an Executive M.B.A. from Cass Business School, is a Certified Fellow of the Institute of Risk Management, Chartered Insurance Risk Manager of the Chartered Insurance Institute and Programme Director at Cass Business School Executive Education. In April 2012, after a couple of years of researching the travel market and using his educational experience, he launched his online company: TravelStaytion. The company is a letting and holiday rental website that within its first month managed to feature more than 2,000 properties across Europe. In the early days Jason benefited from using the incubation facilities offered by the Cass Entrepreneurship Fund. With this support, he was able to start operating his company in London and employ seven members of staff, three based in London and four in Greece. Jason's favourite part of his job is to travel around the world, getting to know new cultures. That way, his company can offer the best service for holiday makers looking for accommodation, as well as attracting suitable property owners. "Every day feels like a trip for me and for the team. They provide the local feel for each destination we cover around the world." Julian has worked in media, particularly digital paid content and conferences, for over 20 years. For most of that time he has been running Electric Word, the business he founded and then floated on the London AIM market in 2000. Before that he was Marketing Director at a B2B financial publisher and Commercial Manager of the Product Development Unit at the Guardian newspaper. He has a particular interest in education, sport and business-to-business information. He is a qualified coach and mentor (ILM Level 7) and recently set up www.cofunction.co.uk as vehicle for his advisory work. He believes in honesty, self-awareness, continuous learning and celebrating mistakes! Nic is the founder and currently the CEO of Sledge. He is also the Non-Executive Chairman of Events Tag. His career began in the eighties in the world of live music. He soon realised he should focus on his leadership skills and was taken on as Deputy General Manager at Richard Branson’s London music club ‘The Venue’. His next move was to join the leading international promoter, Marshall Arts, working as tour manager with major music acts in the UK, Europe and the Middle East. A tour with Tina Turner was the highlight. He was highly conscious of the innovations created by the rapidly changing technology of the time and moved into the world of music video production with top ranking artists such as T’Pau, Terence Trent D’Arby and ABC. He saw there was a crossover opportunity to bring these media innovations into the conservative world of corporate film and live event production and this led directly to the creation of Sledge. Starting my own company seriously focused my attentions on managing a business hands-on. I’ve been fortunate enough to continue to develop my skills and my company simultaneously - and successfully. He started Sledge over 25 years ago, and have enjoyed working with a variety of prestigious blue-chip clients, including: British Airways, BBC, Conservative Party, Hewlett Packard Enterprise, ITV, innocent, Metro, Microsoft, O2 Telefonica, Sky, the governments of UK and Dubai, and JP Morgan. Sledge became one of the leading pioneers of experiential event marketing and won multiple awards for their work. He was delighted when he sold Sledge to an Australian media group in 2007: it was the exit strategy he had planned. Then the crash happened. Capitalising on the opportunity, I took the company back into private ownership on favourable terms in 2010, and once again found myself at the helm. These days, as well as running his own business he is Non-Executive Chairman of Events Tag – a live event experiential technology company. He has had an eventful and relatively successful career in a precarious sector of business. He is now really enjoying the buzz of being involved in new businesses with energetic young entrepreneurs, and being able to pass on some of what he has learnt in his career. Being very close to the “Silicon roundabout”, you will be perfectly placed to exploit the opportunities created by this programme. Recent graduates have secured roles in industries that include Technology (Start Up), Luxury Goods, Financial Services and Media and Entertainment. Our dedicated careers team will work with you to identify and achieve your career goals by providing one-to-one support. You will also benefit from regular skills workshops and employer and alumni networking opportunities. Depending on your sphere of interest and expertise, potential opportunities after graduation include being the founder or CEO of the venture created during your studies or pursuing a career in start-ups or corporate organisations who are always on the lookout for candidates with entrepreneurial spirit and know-how.